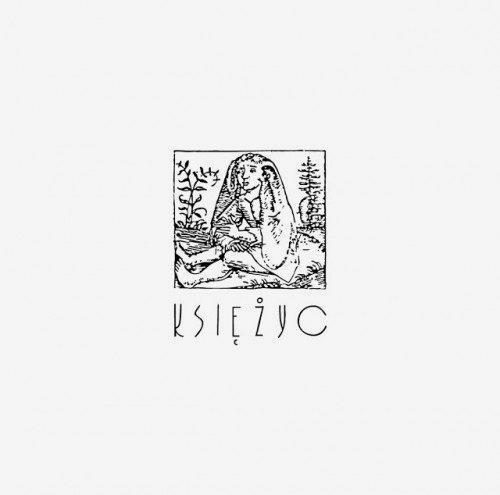 2017 repress of the classic 1996 debut recording by Polish outfit Księżyc (Moon). Księżyc features Agata Harz (vocals), Katarzyna Smoluk (vocals, piano), Robert Niziński (wind instruments, keyboards), Lechosław Polak (accordion, keyboards, synthesizers) and Remigiusz Mazur-Hanaj (lyrics, tapes). The spirit of Księżyc engages ancient and contemporary musical forms to create a new form of experimental folk music. One with a focus on the aesthetic arrangements of the medieval whilst rooted in Slavic tradition combined with elements of minimalism and vocal experiments of the 20th Century and beyond. The alchemy of these constituent parts results in a breathtaking original music, both delicate and sinister. The surreal fairytale inspired lyrics (written by Remigiusz Mazur-Hanaj) add to the inherent beauty, sadness and madness within. ‘Księżyc’ comes in a beautiful gatefold with printed inner sleeve. This edition come on silver vinyl and is limited to 500 copies.